To see the film at Enzian at 7PM, you must purchase an Opening Night Film & Party ticket here. To see the second screening of Woman in Motion at Regal at 8PM, you must purchase a Film Only ticket here. To see the third screening of Woman in Motion at Regal at 8:30PM, you must purchase a Film Only ticket here. To learn more about Opening Night Party, click here. To most of the known universe, Nichelle Nichols is Lieutenant Uhura, the communications officer aboard the Starship Enterprise. On Star Trek she broke barriers as one of the first African Americans to star in a network show and as a participant in television’s first interracial kiss. In reality Nichelle Nichols was a pioneer, a fiercely intelligent and passionate advocate for African Americans, women, and minorities. She worked with the NAACP and Dr. Martin Luther King Jr. as a role model for young black children and women. 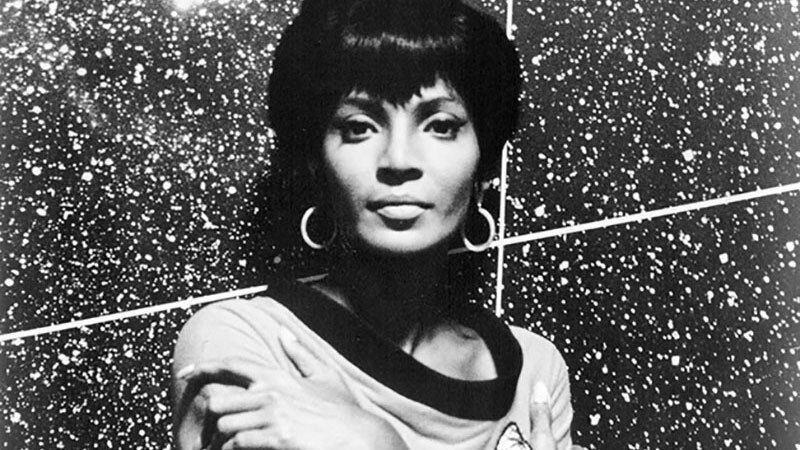 Beyond that, Nichelle Nichols is arguably the single most important figure in history for the recruitment of women and minorities to the field of space exploration, specifically the NASA space shuttle program. A humble paintbrush assumes unprecedented powers in this bravura display of eye-popping, mind-bending, and body-morphing ingenuity by the maverick Italian animator Donato Sansone.